Ok, this is pretty tangential, but I just have to share. Ok, this is a prairie blog, not BuzzFeed, so let me at least give you something with some relevance to prairies… Look! Here’s a picture of a sensitive briar (Mimosa quadrivalvus) flower! 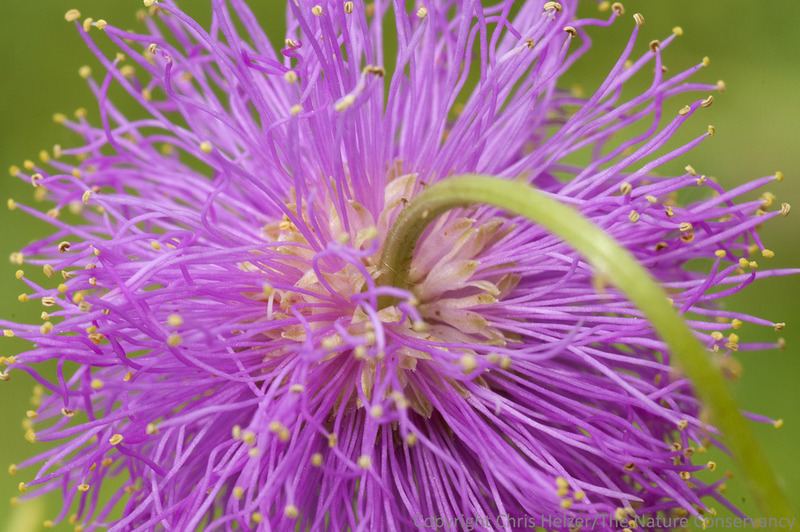 A close-up photo of a flower of sensitive briar, aka cat’s claw, aka Mimosa quadrivalvus, aka Schrankia nuttallii. Here’s the same flower, photographed from slightly further away to give you a little context. If you want to learn more about sensitive briar, you can read this previous post. 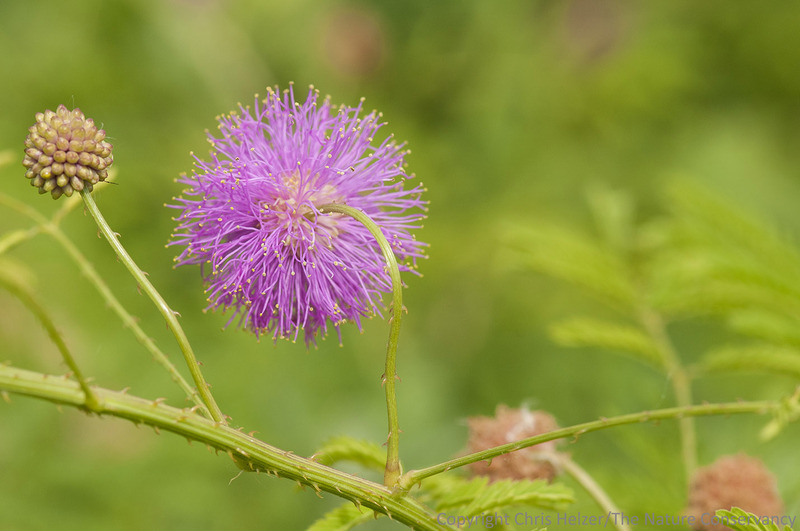 This entry was posted in Prairie Natural History, Prairie Photography, Prairie Plants and tagged cats claw, mimosa, schrankia, sensitive briar, spam by Chris Helzer. Bookmark the permalink. The “mimosa” I’m familiar with is Albizia julibrissin, an invasive species originally from China. They have pretty flowers but they’re danged hard to kill. And I thank you in your sweat as well . . . I, too, thank you in your sweat, Chris! Those are too funny! I have enjoyed a site that posts pictures of signs and consumer products in “Engrish”, or poorly translated signs from Chinese to English, usually resulting in hilarious sentences and sentence fragments. Thanks for the photos of the sensitive brier! I once saw this growing in a ditch beside the Burlington Northern Santa Fe railroad line through Grand Prairie, Texas, but didn’t have a clue what it was. Now I know.